I woke up this morning to discover I had been quoted! Finally! Somebody noticed my insightful commentary on the world and felt it noteworthy to share. 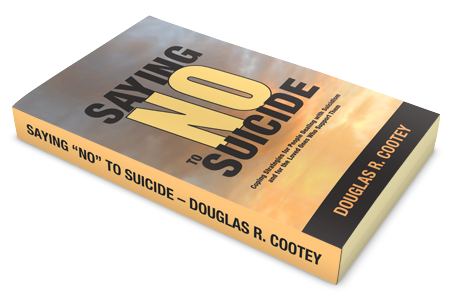 I could expect to see a boost in page hits, maybe some social media traction, and dare I hope, more sales of my book, “Saying ‘NO!’ to Suicide”. Then I noticed a tiny problem. As much as I appreciated the signal boost from Healthy Minds on Facebook and Twitter, I wasn’t actually quoted. In fact, I hadn’t said any of the comments attributed to me. The cited quotes were the cheeky bullet points and summaries of the article author, Sabrina Rojas Weiss. 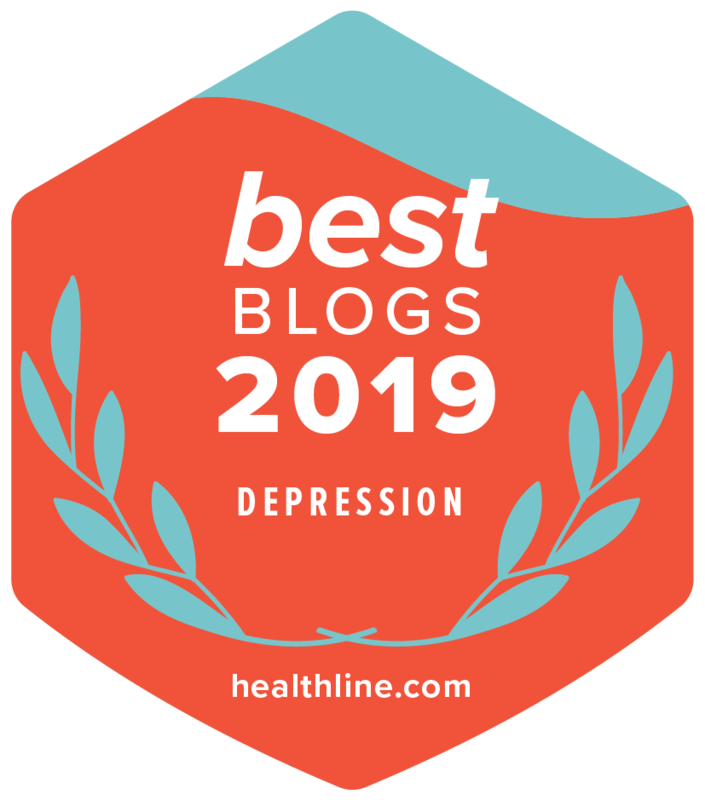 Healthy Minds was just trying to bring attention to an important issue, and should be commended for their efforts, but I want to make sure that the right people get attributed. 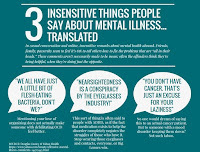 Just in case you missed the article when I shared it last year, here’s a link: ‘Cancer Is Just An Excuse’ – Insensitive Things People Say About Mental Illness, Translated. 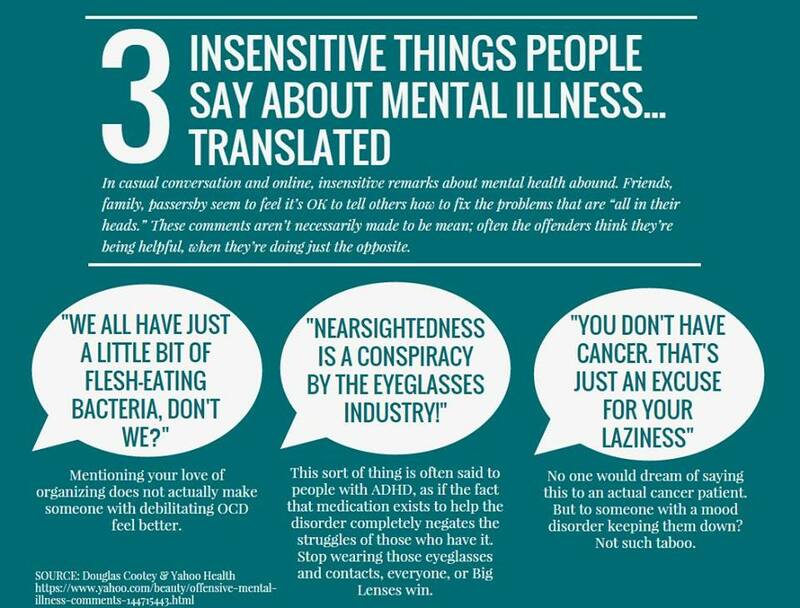 It’s a sarcastic take on a problem many people dealing with mental illness face regularly. Family & friends mean well when they offer advice, but their well-meant suggestions are often hurtful simply because they don’t take a moment to truly understand the nature of the mental health problem. I’ve said this for years. You need to understand the problem so that you can offer helpful solutions. For example, I’m told regularly, “You’re so smart! You should do X job or Y job! !” They mean it as a compliment, but underlying the “compliment” is the assumption that I can simply go out and do what they believe I can do. I say, “Sure, but do you know of a place that will let me call in sick weekly because of ticking and still keep me on?” They don’t. Neither do I. But the problem is that their help ends there until they think of another job I should be trying to do instead—again without consideration of my actual limitations. They don't analyze the situation long enough. In fact, if I don’t take their advice, many of them lose faith in me. It doesn’t mean their advice wasn’t helpful. No, no! I couldn’t mean that. It just means I’m too negative, or defined by my labels, or something. I’ve never been able to make sense of it. My limitation isn’t a lack of gumption. It isn’t a lack of confidence. It isn’t laziness. It’s an actual disability. Sabrina’s article took different statements from me and other bloggers, then compiled them together. Her point was that you don’t tell blind people to think positively so that they can see better, so why do you tell people with, for example, depression, to just be happier? I believe willpower plays a core part in coping with mental illness. Willpower makes the difference between moving forward while coping with depression versus sitting on the couch Netflix-binging while depressed. Willpower helps me keep trying to master ADHD with coping strategies versus giving into the mental chaos. However, willpower is just one of many coping strategies we need to employ for mental health and recovery. Willpower is a tool, not a cure. Quote #2: “The comment that took the cake was when my next-door neighbor, who was an elementary school teacher, told me that ADHD was an excuse that people used to get out of doing homework,” said Cootey, who began his blog 11 years ago in part to train himself how to respond to ignorant comments. Quote #3: “I’ve been told that my depression is not real because I manage it without meds,” Cootey said. I’m afraid the text quoted in that graphic was all written by Sabrina. Give her article a read. I thought she did a great job with the material. She should get all the credit. If you want to read actual statements by me, you should read my book. It’s loaded with my words.